Because cloud computing is such a hot topic now, those interested in it want places to find the latest cloud news and information. One of the best sources for cloud developments is blogs. Several blogs focused on cloud computing have been established in the past couple of years to provide their readers with knowledge and updates on the latest from the cloud industry. With so many cloud blogs out there, however, it can be tricky to know which ones to read. To help you get the cloud info possible, we’ve culled through the top cloud blogs to bring you 7 cloud computing blogs you should be following in 2019. Channel Futures provides the latest news, case studies, and research on several areas of tech, including cloud computing. Their goal is to unify what they call the “new channel” – a tech ecosystem that encompasses organizations outside the traditional information and communications technology channel. They have brought the blog Talkin’ Cloud into their fold, giving them a solid base to report on breaking cloud developments. CloudTech is one of the most notable communities for cloud professionals. Their focus is on enterprise cloud strategy and technology, backed up by the top industry research. In addition to reports on case studies, CloudTech features specific categories including platforms, software, security, and analytics. CloudTech is owned by TechForge, a global publisher with headquarters in the UK. CloudTweaks gathers op-eds and best practices from the biggest thought leaders in the cloud industry. Their content comes from respected cloud computing figures who have the experience and know-how to back up their thoughts on the cloud, AI, DevOps, and blockchain. They also host a tech training program marketplace, giving people a heads-up on all the cloud computing courses out there. DZone is a developer-focused online community that also acts as a knowledge resource. They cover a wide range of topics and technologies on their website, including cloud, DevOps, IoT, and microservices. Currently, they have over 70,000 articles on their site, alongside several guides and reference sheets for developers and cloud professionals to browse through. InfoWorld, an IDG company, covers the latest enterprise technology in cloud computing, software development, machine learning, and analytics. The site also hosts a cloud computing blog ran by David Linthicum, the chief cloud strategy officer at Deloitte Consulting LLP. He writes on enterprise cloud strategy based on his years of experience as a CTO and CEO of several tech companies. Ran by Rick Blaisdell, a CTO with 20 years of experience currently working at Motus, Rick’s Cloud covers a huge spectrum of technology areas with a focus on cloud computing. He writes about the latest trends in cloud computing and how they will impact the way companies use the cloud. His blog also features a series of questions people should ask when considering a cloud service solution. TechRepublic publishes content designed to help IT professionals determine quality cloud technologies and strategies. Their content includes curated content from cloud professionals as well as original content on topics like cloud, AI, and cybersecurity. 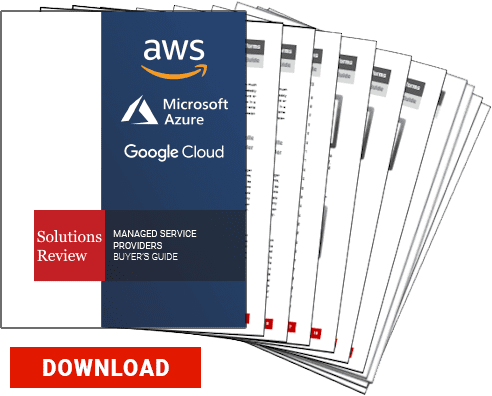 They provide a mixture of both instructional content and informational op-eds that highlight the best strategies and practices for cloud computing.